Handbook is compiled at the Estonian Meteorological and Hydrological Institute.384 sheets, hardcover (text is in Estonian language; tables, figures and appendixes are in Estonian and English). 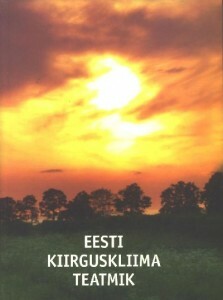 Episodic measurments of solar radiation have been carried out in Estonia as early as the 1930´s. Continuous observations of the components of the radiation budget began in Tartu in January 1950. This book should be of interest to a wide variety of specialists, including climatologists, meteorologists, biologists, farmers, architects, solar power specialists, those in medical fields such as dermatology and epidemiology, as well as many others. Radiation in the atmosphere and at the surface. Solar radiation instrumentation. Direct radiation. Diffuse radiation. Global radiation. Reflected short-wave radiation. Albedo. Ultraviolet radiation. Net radiation. Long-term trends in the components of radiation budget.